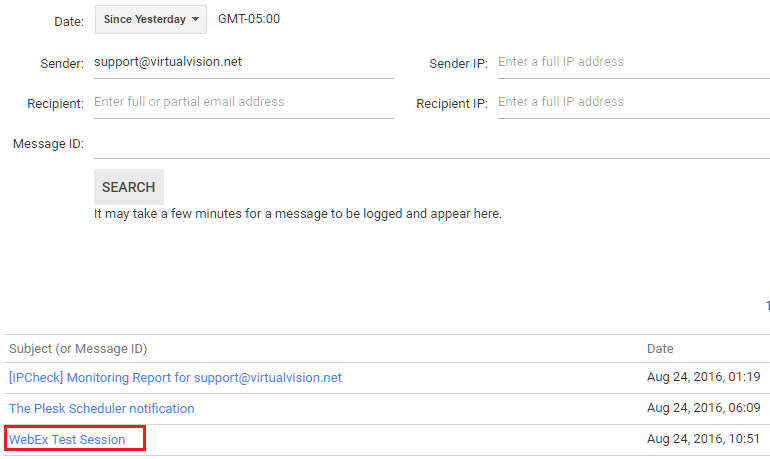 How do I view my email logs in Google Apps? Step 1) Login and access your Google Apps Admin Control panel using the Administrator account for your Google Apps organization. Step 2) Click on the Reports icon in the console. Step 4) Adjust the Date from the drop-down menu to fit your date criteria. Enter in at the minimum the Sender or Recipient fields (both is recommended). Then click on the 'SEARCH' button'. Step 5) Click on the message you want to review. Step 6) Review the details. If it says 'Delivered to an SMTP mailbox' then the message has been sent successfully. 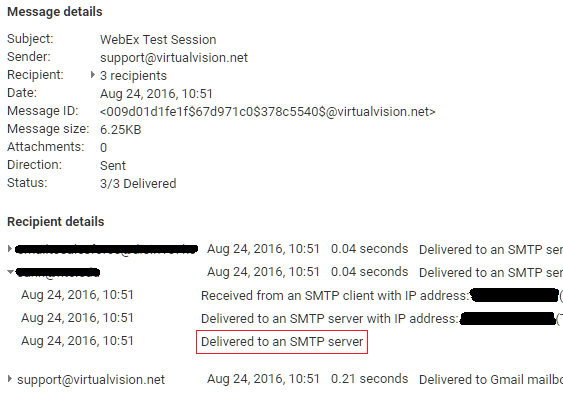 Note, this example shows that a message I sent was received by the recipient's mail server. To check if Google Apps received an email from an external user to you, you would put your email in the Recipient field and the external user's email in the Sender field in Step 4.